Design Professionals that fail to design in compliance with ADA requirements cannot be sued by their clients for indemnification or breach of contract to recover the rectification costs to bring the building into compliance. This is the surprising conclusion in multiple federal court decisions, the most recent of which is Chicago Housing Authority v. Destefano and Partners, Ltd., (45 N.E.3d 767 Illinois 2016). It would appear that designers need not worry about language in their contracts guaranteeing compliance with the FHA and ADA requirements or promising to indemnify their clients for damages resulting from non-compliance. The decision in this case is one of a growing number of decisions holding that federal ADA law preempts state law and contract language so that a building owner cannot be indemnified by its design professional for costs resulting from failure of the design to meet FHA and ADA requirements. Chicago Housing Authority v. Destefano and Partners, 45 N.E. 3d. 767 (Illinois 2015). Chicago Housing Authority (CHA) filed a breach of contract complaint against the firm that designed renovations of a public housing project, to recover substantial costs it incurred in bringing the project within compliance with federal fair housing and accessibility laws as a result of the designer’s failure to provide a design meeting the federal requirements. The trial court dismissed the lawsuit on the grounds that the suit was impermissible under federal law. This was affirmed on appeal. The United States Department of Housing and Urban Development (HUD) had provided funding for the renovation project with the condition that the Authority must take certain actions to ensure that the project could adequately meet the needs of the disabled. The Authority planned the overall renovations to meet the requirements of Section 504 of the Rehabilitation Act of 1973 by constructing 5.3% of the units to accommodate mobility impaired individuals and 2.1% of the units to be accessible to individuals with sensory impairments. The Authority entered into a contract with a design firm by which the designer agreed “to provide professional architectural and engineering services in connection with the Project as are usually and customarily performed, rendered or done by architect preliminary to and in connection with the preparation of plans, designs and specifications and the construction, rehabilitations and completion of residential buildings.” The contract included a requirement that the designer certify that all work performed conforms to city, state and federal accessibility codes as well as to the United States Fair Housing Act (FHA). While the work was being performed, HUD did a review and notified the Authority that the work was not in compliance with the Rehabilitation Act or with the Americans with Disabilities Act (ADA), and detailed a range of deficiencies that the court stated were both major and minor. After the project was completed, the Authority negotiated a voluntary compliance agreement obligating it to correct the purported deficiencies. It then hired a new architecture firm to perform work necessary to comply with its obligations under the compliance agreement and incurred over $4.3 million to bring the buildings into compliance with the federal accessibility standards. The Authority’s suit included one count for breach of contract and one count for Indemnity. The breach of contract count alleged that the designer materially breached the contract by failing to “report that the rehabilitations and renovations work performed … did not conform to the requirements of applicable federal laws, regulations, and guidelines,” including the ADA. It also alleged the designer failed to provide accurate certifications that the work conformed to the federal accessibility standards and the ADA. The damages being sought were to recover costs the Authority incurred in bringing the project into conformance with the applicable state and federal laws, regulations and guidelines. In granting summary judgment for the designer, the trial court found that the federal statutes precluded the Authority from delegating its duty to comply with the federal accessibility standards. In affirming that dismissal, the appellate court concluded that the state law claim was preempted by federal legislation. The Authority argued that its breach of contract claim based on the designer’s failure to meet its obligations to follow federal accessibility standards, does not conflict with federal law, but instead supports it. It argued that its attempt to enforce the parties’ contract is a means to hold the designer accountable so that taxpayer money is not misused and disabled persons do not suffer discrimination. In holding the federal law prohibited the Authority from making either a breach of contract claim or indemnity claim against its architect/engineer to recover the costs it incurred in bringing the project into compliance with the ADA, the appellate court cited the U.S. Fourth Circuit decision in the case of Equal Rights Center v. Niles Bolton Associates, 602 F.3d 597, 602 (4th Cir. 2010) that held it would lesson the owner’s incentive to ensure compliance with the ADA and Fair Housing Act if the owner were permitted through an indemnification claim to recover its losses for non-compliance. 1) Permitting a project owner to hold its design firm accountable for its design, including requirements to design consistent with laws, codes, and ordinances is not inconsistent with the purposes of upholding the principles of FHA and ADA. In fact, a project owner cannot on its own design a building to meet the requirements. Not being a licensed designer an owner must rely on a qualified designer to perform the design services. 2) By contractually obligating a designer to design facilities consistent with all laws including the FHA and ADA, a project owner is acting in a manner consistent with the laws in an effort to accomplish their stated goals of accessibility. 3) Contrary to the decision of this court and others like it, the designer was not a “co-defendant” to whom the owner is attempting to delegate its legal responsibilities. It is likely that the design firm would have been protected by the economic loss doctrine from lawsuits by third parties asserting economic loss due to the failure of the design to meet FHA and ADA requirements. How then, was the designer a real or potential co-defendant to whom the law preempted another defendant under the law from delegating its responsibility? 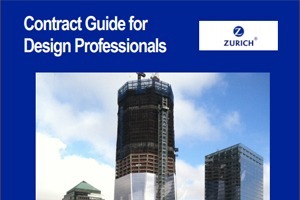 4) When design firms negotiate their contracts with project owners, their attorneys and risk managers are generally careful to craft obligations concerning compliance with laws and codes so as not to create warranties of compliance, but rather commit to exercising the applicable professional standard of care to create a design that complies with the requirements. Advisors likewise advise design professionals not to agree to indemnify their clients for damages arising out of any and all acts, errors or omissions, or non-compliance with laws, but instead to limit the indemnification to NEGLIGENT acts, errors or omission, or NEGLIGENT non-compliance. Based on the decision of this court and others like it, it appears there is no reason to worry about indemnification obligations concerning compliance with the FHA and ADA. It seems according to this decision that design professionals get a free ride with no liability for damages they cause their clients due to non-compliance. 5) What if the project owner were a small, undercapitalized entity that could not afford to do the corrective action necessitated by the ADA/FHA non-complying design and construction? Who fixes the building? If designers were held accountable, there might be professional liability insurance to participate in the damages to the extent caused by the designer’s negligent non-compliance with the statutes. How is that not a good thing to encourage compliance with the ADA and FHA? 6) The point of federal preemption under the ADA and FHA is to hold wrong doers accountable. How is it consistent with the purposes of the ADA and FHA to penalize a project owner who acts in good faith to comply with those statutes by hiring a qualified professional to design its project and obligating that designer to design consistent with the ADA and FHA? About the author: Article written by J. Kent Holland, Jr., a construction lawyer located in Tysons Corner, Virginia, with a national practice (formerly with Wickwire Gavin, P.C. and now with Construction Risk Counsel, PLLC) representing design professionals, contractors and project owners. He is founder and president of a consulting firm, ConstructionRisk, LLC, providing consulting services to owners, design professionals, contractors and attorneys on construction projects. He is publisher of ConstructionRisk.com Report and may be reached at Kent@ConstructionRisk.com or by calling 703-623-1932. This article is published in ConstructionRisk.com Report, Vol. 18, No. 6 (September 2016).